The HIL ECU Tester is a 3up full height test stand that performs DV testing on multiple variants of the ECU. The Tester is a 3up full height test stand that can perform DV testing on multiple variants of the ECU. 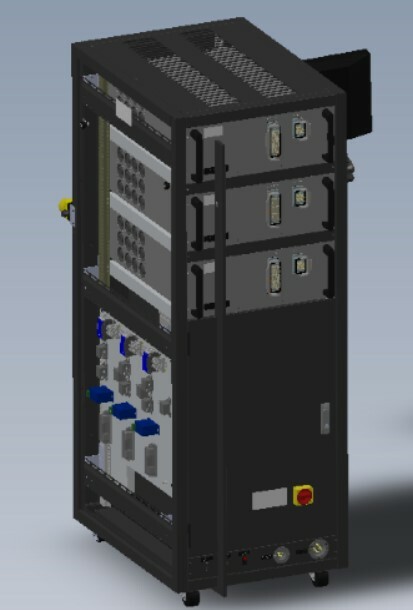 The highlight of the test system is the modular load bank design which enables parallel or batch testing of the UUTs. The software is architected using V I Engineering’s ATES to provide the operator a custom user interface for control and monitoring of the test during the thousands of cycles of operation. ATES leverages National Instruments TestStand, LabVIEW, LabVIEW Real-Time, and LabVIEW FPGA under the hood to provide the reliability and determinism necessary to properly test the UUT. The data is streamed to the Host computer for logging to TDMS data files which are process by DIAdem for reporting purposes. Please enter your information below and a representative from VI Engineering, Inc. will contact you.